The remaining five celebrities must master the hardest skill of all - patisserie. The semi-finals begin, and the remaining celebrities must cook a show-stopping dish. The celebrities must cook a faultless three-course meal for three judges from the WI. The celebrities head to London restaurant La Porte des Indes to cook a lunch service. Kirsty Wark, Ruth Goodman, Phil Vickery and Ricky Groves are tested on teamwork. Kirsty Wark, Ruth Goodman, Phil Vickery and Ricky Groves begin the culinary challenge. Sharon Maughan, Danny Goffey, Colin McAllister and Justin Ryan face their first challenge. The celebrities are tested on teamwork and face their first mass-catering challenge. 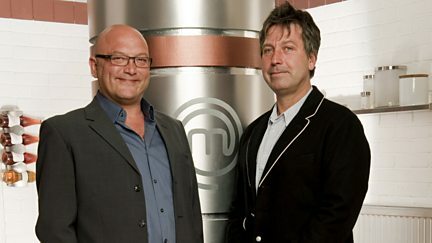 The remaining celebrities battle for a place in the Celebrity MasterChef semi-final. 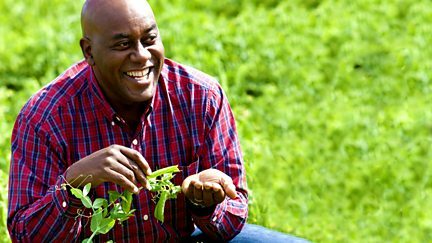 Celebrities including Linda Lusardi and Nick Pickard face gruelling cookery challenges. 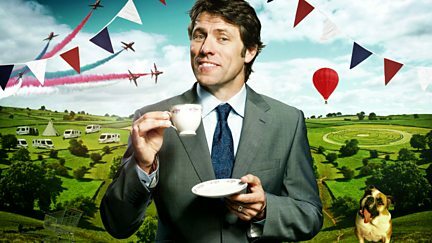 John Bishop presents the comedy show, with guests including John Torode and Gregg Wallace. 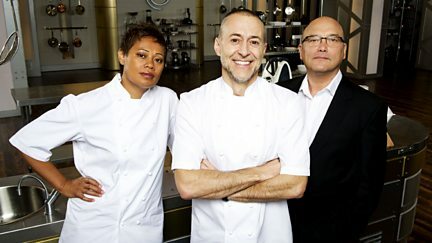 The Grand Final, as the three finalist cook their ultimate three course menu. The last pair of semi-finalists go head to head in service at London's Pied a Terre. Two semi-finalists battle in service at Scotland's only two-Michelin-starred restaurant. The remaining eight chefs have to make a show-stopping dish in this semi-final. The first semi-finalists go head to head in service at L'Atelier de Joel Robuchon. The chefs recreate a classic recipe of roasted pigeon with stewed peas a la francaise. It is quarter-final day and the chefs must prepare a dish of their own invention. The chefs have only 10 minutes to tunnel bone a leg of lamb and tie it ready for roasting. The final set of ten chefs have 50 minutes to create a dish from just six ingredients. The chefs must make one of Michel's dishes - chocolate tart with raspberries. The chefs have to make a dish of their own invention, using an array of fresh produce. The chefs face a skills test, and have one hour to recreate squid stuffed with wild rice. In the Invention Test, ten chefs have just 60 minutes to make a dish from six ingredients. The chefs have to make a dish of their own invention, using an array of ingredients. 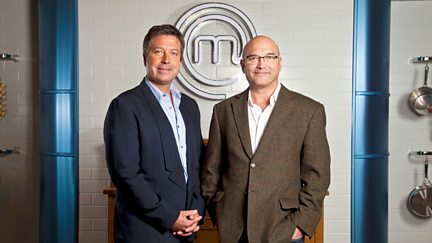 In the Invention Test, ten chefs have just 50 minutes to make a dish from six ingredients. Five chefs are whittled down to three through a skills test and cooking challenges. The chefs are asked to make one of Michel's dishes - saddle of rabbit stuffed with prunes. Ten chefs have only six ingredients and one hour with which to create a dish. Championing the use of British-grown peas and rhubarb with several delicious recipes. 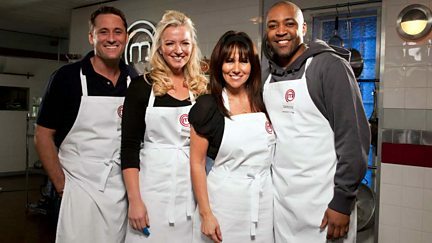 The winner of Celebrity MasterChef 2011 is crowned after one final cook-off. 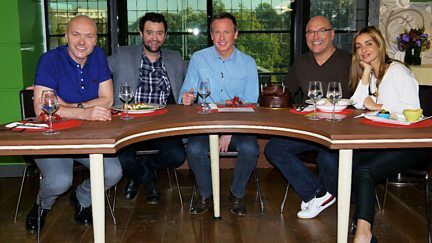 This week's guests include Gregg Wallace and Daniel-Mays. In the final weekday episode, the finalists must present a faultless three-course meal. The three celebrities must cook for some of the country's top chefs at Gidleigh Park. The three finalists must cook for some of the country's top chefs at Gidleigh Park.